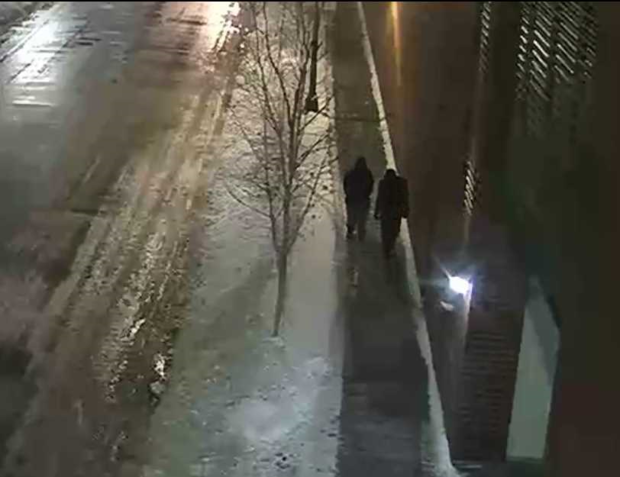 Chicago — Police in Chicago said Wednesday they are looking for two persons of interest in the possible hate crime attack against actor Jussie Smollett. The lead comes after detectives spent hours screening surveillance tapes for clues. A gay cast member of the Fox hit show "Empire," the actor told police two white men shouting racial epithets and gay slurs beat him up, doused him with an unknown chemical and tied a rope around his neck after he left a Subway restaurant around 2:00 a.m. The rope was still on his neck when the police first arrived 45 minutes after being alerted. Sources said the video that identifies the persons of interest also shows Smollett with a rope around his neck. Smollett told police the attackers also allegedly yelled "this is MAGA country," a reference to the president's campaign slogan. His account prompted a wave of support from the worlds of entertainment and politics. Police say Smollett has been cooperative and took them on a walk-through of the area in question.